Scientists on Arctic sea ice in the Chukchi Sea, surrounded by melt ponds, July 4, 2010. But for many people, the Arctic seems like a faraway place, and stories of what is happening there seem irrelevant to their lives. It can also be hard to accept that the globe is warming up while you are shoveling out from the latest snowstorm. To be clear, we were not asking whether the impacts of rising greenhouse gas concentrations would appear first in the Arctic, as we expected. The science supporting this projection was solid. The issue was whether those impacts had yet emerged. Eventually, they did – and in a big way. Sometime around 2003, I accepted the overwhelming evidence of human-induced warming and started warning the public about what the Arctic was telling us. Climate change really hit home for me when I found out that two little ice caps in the Canadian Arctic I had studied back in 1982 and 1983 as a young graduate student had essentially disappeared. 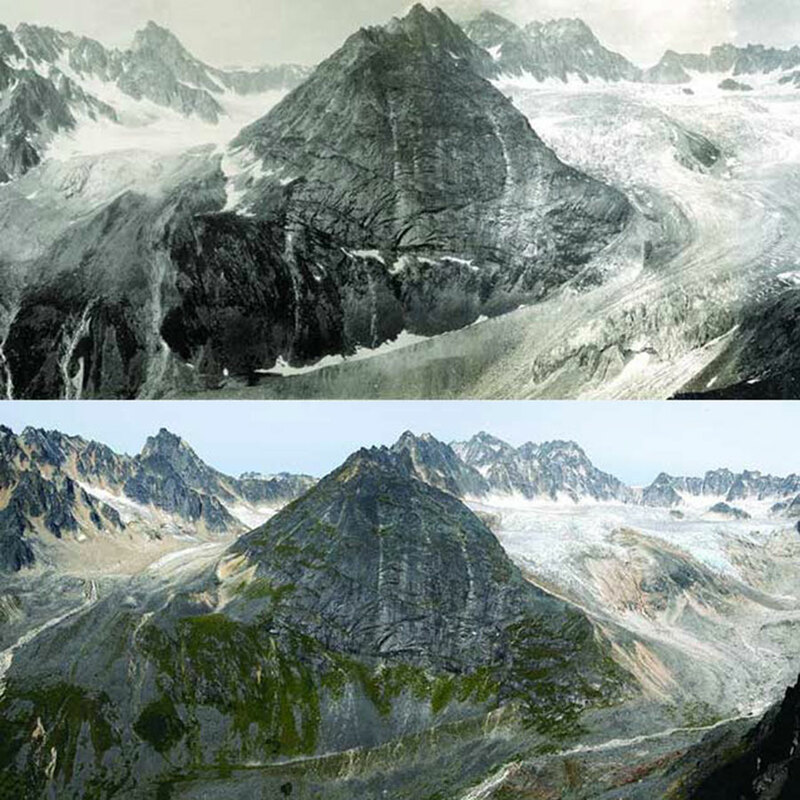 Bruce Raup, a colleague at the National Snow and Ice Data Center, has been using high-resolution satellite data to map all of the world’s glaciers and ice caps. It’s a moving target because most of them are melting and shrinking – which contributes to sea level rise. One day in 2016, as I walked past Bruce’s office and saw him hunched over his computer monitor, I asked if we could check out those two ice caps. When I worked on them in the early 1980s, the larger one was perhaps a mile and a half across. Over the course of two summers of fieldwork, I had gotten to know pretty much every square inch of them.